Hands down – one of my all time favorite activities is driving with the windows down, on a sunny day with the tunes so loud that I can’t hear myself sing or my phone ring! My amazing bro introduced me to his hero and my morning inspiration, Jason Mraz. 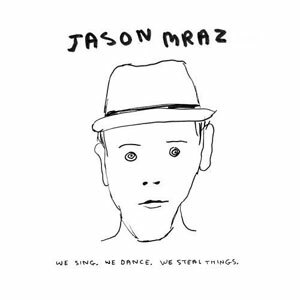 His new CD – We Sing We Dance We Steal Things is simply fabulous. My special friend Gina recently gave me an absolutely beautiful gift. It is a hand-made necklace from a North Vancouver jewellery designer named Andrea Waines. I have often looked at her works of wonder and even purchased a few gifts for others myself. To receive one from someone else, I think is truly the greatest gift. My necklace reads: Dare To Be Remarkable. Kinda hard to sport that and not feel fabulous, eh! leadership lessons, elevated heartbeat experiences + the odd delicious recipe delivered straight to your inbox!